This evasive weed as a smooth, reddish, mostly prostrate stems and alternate leaves clustered at stem joints and ends. A yellow flowers have five regular parts and are up to 6 mm wide. Depending upon rainfall, the flowers appear at anytime during the year. The flowers open singly at the center of the leaf cluster for only a few hours on sunny mornings. Seeds are formed in a tiny pod, which opens when the seeds are mature. 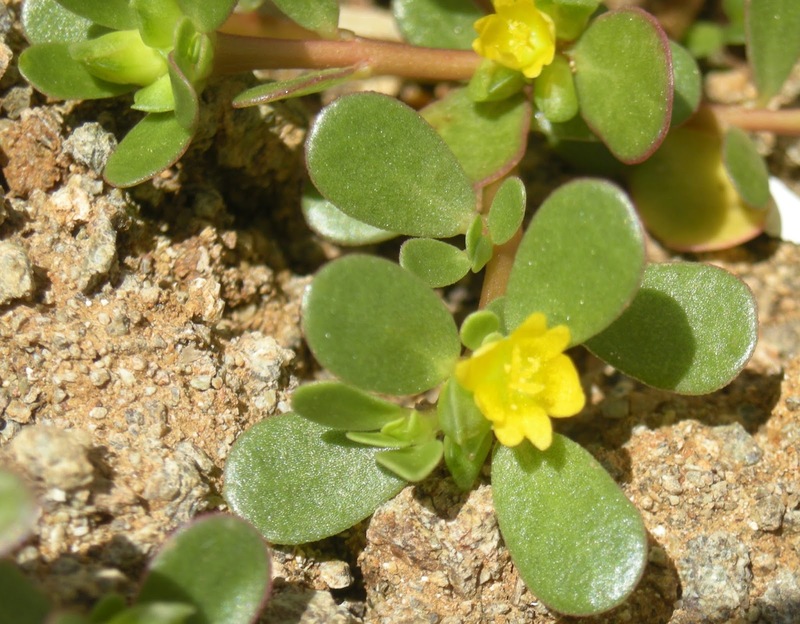 Purslane has a taproot with fibrous secondary roots and is able to tolerate poor, compacted soils and drought.